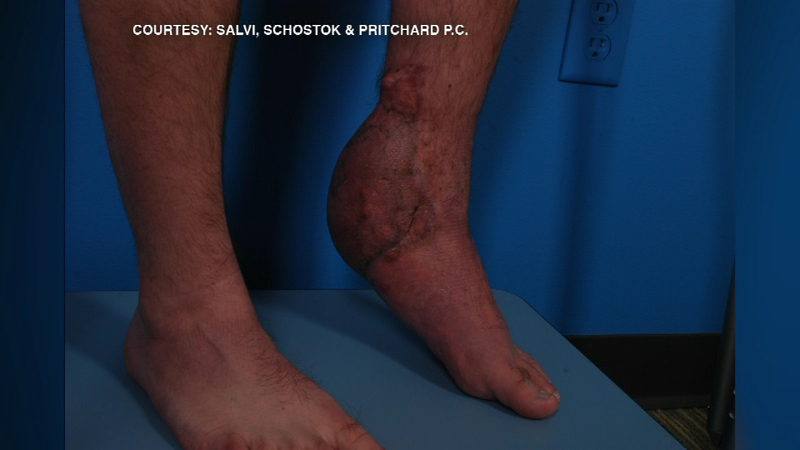 Thomas Neuhengen's foot was injured after a 58,000-pound forklift ran over his foot. A Wisconsin man got a big payday for injuries he suffered at Chicago's McCormick Place. A judge issued a $15.2 million judgement in favor of Thomas Neuhengen. He was tearing down an exhibit at a show in 2012 when a 58,000-pound forklift knocked him down and ran over his foot. Neuhengen required several surgeries after the incident. His attorneys said he'll feel the effects for the rest of his life. The Occupational Safety and Health Administration (OSHA) also cited the show's producers for four safety violations.